I made this small design. All axes with lead screws. It's fast and very accurate. Cool. I always wanted to try this. Did you mitigate backlash in any way. Spring loaded nuts maybe? Using lead screws for X- and Y-axis is like repurposing a tank to race the Indy 500 . If those tanks were firing at each other, it’d certainly be a more exciting Indy 500! Because of how narrow that trrack is, once one or more tanks were out of the running, they’d need to drive over them for the rest of the laps. Having run on that track a couple times on foot, it looks wider on TV than in person! you may want to try high start leadscrew? 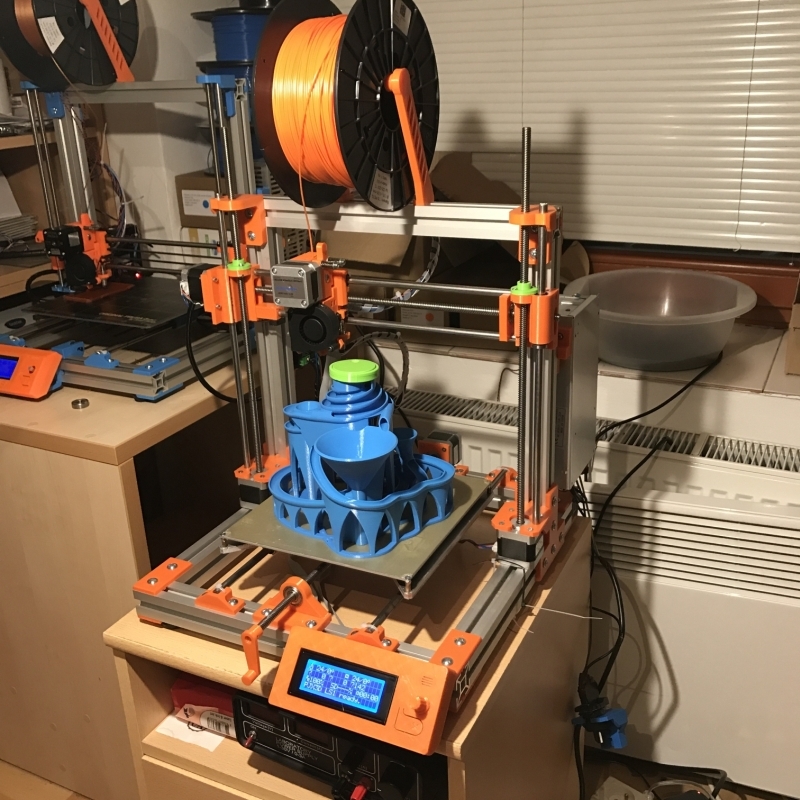 A couple of years ago, I got started with my 3D printer, an I3 clone. It wasn't a great kit to start with, and I have never been entirely happy with its overall accuracy. I always felt that I was making compromises with many of the things that I made with it. I made several improvements, and it got better, but it's still not as good as I want. I have never been able to make pieces that fit tightly together without needing to adjust for a difference between expected and actual real dimensions. (Say making a slot and tab assembly part.) I'm interested in the accuracy that this allows. I had thought that perhaps the T8 lead screws would pose a speed problem. With a 4 start 2mm pitch, and a 1.8 degree stepper motor, at 1/16 microstepping, I get 400 steps/mm, which is about double that of a typical GT2 belt setup. It seems to be that changing to 1/8 microstepping should result in similar speeds, even though the motor RPM will double. 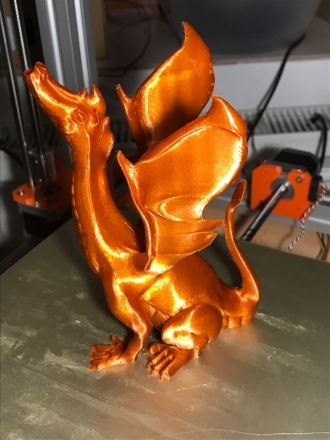 I am planning to rebuild by printer similar to this myself, so I'm encouraged by the success of this one.